Florida has always been a major stage for preparing for the Kentucky Derby, and this is the key race that sets the stage for the Florida Derby. In recent years this race has been very important to the Triple Crown picture. In 2013 Orb won both this race and the Derby. The year before Union Rags won this race and the Belmont Stakes. Other stars to win this race have included 1995 Derby and Belmont winner Thunder Gulch, 1987 Belmont winner Bet Twice, and 1979 Derby and Preakness winner Spectacular Bid. In other words, this is a race that matters. 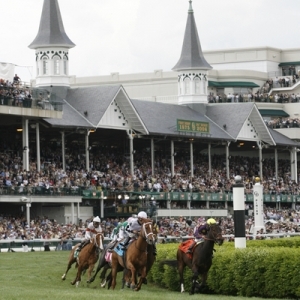 There is a field of eight horses set to contest this race, with a post time of 5:30 p.m. ET on Saturday, Feb. 21. Really, though, the race sets up as a showdown between two horses that both have the chance to prove they are at the top of this year's three year old class. Beyond that showdown, there is one more very unproven youngster that has some real potential that I eagerly await the chance to see if he is for real or not. It has a chance to be a classic. Upstart, Jose Ortiz, 8/5: Based on his first race as a three year old - the Holy Bull Stakes, which are also at Gulfstream Park - he could be called the top three year old in the country. It was as impressive as a race can be. He pressed the early pace, made his move around the last turn, and made winning look as easy as it can be. It was an extremely nice performance. Professional and devastating. There are a few issues, though. First of all, when a horse puts up a huge effort like that - especially in his first race of the season - there is always a real risk that he will regress, or bounce, in his next time out. Trainer Rick Violette has been open that that is a possibility - though he still feels that the horse could regress quite significantly and would still be good enough to win. Second, though he was a decent runner as a two year old he wasn't quite dominant like he was last time out. He was a beaten second in the Champagne Stakes and then couldn't overcome a rough trip and finished third in the Breeders' Cup Juvenile. The effort we saw in those two races might not be good enough here and certainly wouldn't be good enough going forward. Finally, Upstart is a New York-bred horse. That isn't necessarily a problem, and horses from that state have been doing better lately - Funny Cide was a New York-bred, and two runners from the state were in the Derby last year. Still, it doesn't exactly inspire confidence, and it's something he has to overcome. There are plenty of reasons to doubt, but the simple truth is that if he replicates that last race he will make winning look easy. Frosted, Irad Ortiz, 5/2: This horse will be looking for revenge after finishing second to Upstart last time out in the Holy Bull. Perhaps the biggest storyline, though, is that the two rivals are ridden by brothers - extremely talented brothers who like nothing more than beating each other. He has finished second four times in his five career starts, so he needs to learn to win - and this would be a good time to start. He will be adding blinkers for this race, and that could make a difference here in helping him concentrate down the stretch. He had them on for a work leading up this race, and the results were exceptional. The question, though, is whether that will be enough to close what was a sizable gap between him and the favorite here. Trainer Kiaran McLaughlin has a loaded stable this year, but this could be the horse with the most upside. We'll see if that's the case here. I am intrigued, but it will take almost until post time to decide if I have enough faith in him. Itsaknockout, Luis Saez, 4/1: Todd Pletcher has a ridiculous number of potential Triple Crown contenders like he always does. Like always, we also don't know much about most of them. This one certainly falls into that category. He has two wins in as many career starts, both at Gulfstream Park, but he's making his stakes debut. His first win was by the narrowest of margins, but he dominated second time out. He could be an elite horse - one of five or six that Pletcher is likely to have in the Derby gate - or just one of the many casualties Pletcher has on the trail to Louisville each year. By Saturday evening we'll have a better idea of what is likely the case. Raphael Esparza will be handicapping the Risen Star and Fountain of Youth stakes races this weekend. Esparza is one of the best horse racing handicappers in the nation, and he is expecting a big payday this weekend and throughout the Road to the Kentucky Derby. Get his weekend picks for both races for just $30 here, or new clients can take advantage of Doc's no-hassle $60 free picks offer and get Esparza's weekend racing picks and still have a $30 credit to use for any picks from any handicapper on the site. Click here for $60 worth of free picks.